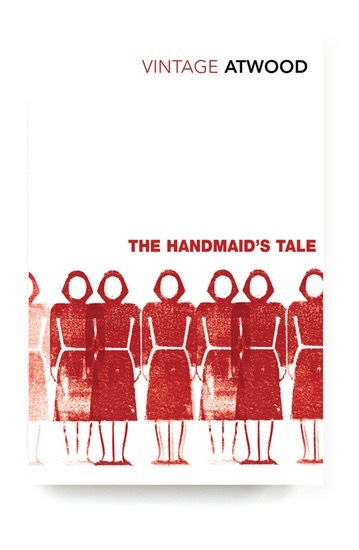 The Handmaid’s Tale is a 1985 dystopian novel by Canadian author Margaret Atwood. Set in a near-future New England, in a totalitarian, Christian theonomy that has overthrown the United States government, the novel explores themes of women in subjugation and the various means by which they gain individualism and independence. The novel’s title echoes the component parts of Geoffrey Chaucer’s The Canterbury Tales, which comprises a series of connected stories (“The Merchant’s Tale”, “The Parson’s Tale”, etc.). I liked this book but didn’t love this book. I’ll be honest and say I knew nothing about it until the TV series started and, when hearing that the novel was “feminist dystopian apocalyptic sci-fi”, I was all “WHAT? That’s so my type of thing!!”. It’s a very good book. I can see why it’s a modern classic but I can’t say it’s one I’ll ever call a favorite of mine. This is a novel that’s worthy of thorough analysis & discussion. You’re SO not gonna get that on my silly little movie blog! 😉 I’m happy to discuss it with any of you in the comments if you want but I think there are far better places online to find good write-ups of it. I would imagine that The Handmaid’s Tale is now studied in high schools (or perhaps colleges – Americans can be extremely uptight, so the sexual content would probably keep it out of high schools). Or… Is it? It should be studied & discussed, especially as it’s worryingly feeling more & more like a future that’s entirely possible in our lifetimes. I do remember when the TV series started & some people online were all “This show is obviously anti-Trump!”. Ha! Hilarious. This show based on the book from 1985. Do these people not realize that seeing so many similarities between this book’s “fictional” dystopian future & modern day politics is scary as f*%k?!?! I think it’s unfortunate, in a way, that this book has been labelled “feminist” as this term bizarrely has negative connotations to some people and would probably keep them from reading it. It’s a very well-written & important piece of work that deserves recognition alongside old literary classics (although I suppose that 1985 is now “old” – it just seems like yesterday to me since I’m so damn old myself). At what point is a modern classic no longer a modern classic? Okay – I’m old & depressed now. Where were we? Oh yeah – Feminist dystopia. Don’t let labels keep you from reading this book if it interests you. Even Margaret Atwood doesn’t approve of this being labelled sci-fi & prefers to call it “speculative fiction” (I read that HERE at Wikipedia, where there’s an interesting bit about the book’s genre classification). Sci-fi does bring futuristic technology to mind whereas this book, although set in the future, feels like it’s set hundreds of years ago due to society’s regression. Once again, it’s scary as hell as it’s starting to feel like we may be headed in that direction. As for this book’s overall “readability” (as in, is it at all enjoyable as opposed to just worthy), I’d say it has a tiny bit of that “They’ve forced me to read this book in school” thing going on. I don’t really mean that as an insult & I personally found the story itself entirely engrossing. The story kept me very interested and turning the pages but, unfortunately, I didn’t really care that much about the characters. Also, I’m not one of these annoying people who require an explanation for EVERYTHING but you really don’t find much out in this book. Whatever happened to cause this apocalyptic(?) future is never fully explained and things from the past are only hinted at through the vague thoughts of Offred, our main character. I felt like we didn’t really get to know her, which made it hard to connect with her. Although I know that’s kind of the point as any kind of emotion must be hidden & she’s living her life in constant fear. Atwood also has an odd sort of writing style, which I think further made it slightly difficult to fully connect with the book. Fantastic concept & great story but a book I can’t say I loved since I didn’t have much of a connection with the characters. As for the current TV series, I did watch the first episode after finishing the book. Rubbish. I won’t be continuing. Sorry to anyone who’s a fan of the show but, if you’ve not read the book, I definitely recommend it over what I’ve seen of the show. Long, drawn out scenes for zero reason other than to appear “deep & brooding”. Added violence that was not in the book (what was done to Janine didn’t happen in the book). And the episode ends with, I think, a final line that is, very importantly, never said in the book. Why?!?! After that, I knew I couldn’t continue. They’re clearly going to change too much & piss me off. And now, hearing there’s a SECOND season?!? Piss off. Don’t milk it. End it where it’s meant to end. Pffft. Adaptations annoy the hell out of me sometimes. Skip the show & go straight to the book with this one.